Michael Levy is a unique figure in contemporary world music. 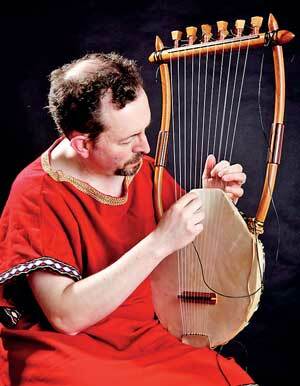 He recreates ancient Hebrew music, playing instruments of antiquity such as the 10-string Biblical lyre known as the Kinnor, and his YouTube videos have been seen by millions of viewers. But (and surely this is one of the commonest paradoxes and anomalies of contemporary music) he has to work at several part time jobs to support his music career. His prodigious energy is derived from a passion for the unknown -- for music created 3000 or more years ago exists only in fragmentary form, and it can only be re-discovered by stretching our creativity and imaginations to the limit. Discovering the past can sometimes be harder than predicting the future. The third moment came in 2006, when Levy stumbled upon a CD titled “Music From the Time of Jesus and Jerusalem’s Second Temple” by the San Antonio Vocal Ensemble. This album is an attempt to recreate the lost sounds of ancient Jewish music (the Levitical Ensemble and Levitical Choir in the Temple of Jerusalem). Encouraged by a fan, he decided to put together his first album titled “King David’s Lyre: Echoes of Ancient Israel,” which featured mainly traditional Jewish instrumental Klezmer music and sacred Jewish melodies arranged for the Biblical lyre; it was posted on August 31, 2006. But matching this ancient music to digital recording technology was no easy task. In his arrangement of the technically challenging “Odessa Bulgar,” Levy experimented with an ancient style of lyre playing still heard in Eritrea, East Africa, known as ‘block and strum,’ which he compares to ‘playing the guitar backwards.’ When the only recording studio he had access to shutdown in May 2009, Levy bought an affordable compact digital recorder to mix and produce his album ‘An Ancient Lyre’ all by himself. Eventually, he met Dominic Johnson who has mixed every album Levy has recorded since 2010. There is much thought and painstaking technique behind Levy’s ethereal sound. People used to the visual bombardment of miles of wires and a bewildering array of electronic instruments and computers associated with modern pop music would be bewildered by the complex range of tones semitones and microtones produced by a dedicated musician on this seemingly simple instrument. People visually intimidated into being impressed by all the high-tech wizardry (and the expense) would need a new musical education, starting from zero, to comprehend the tonal beauty of these ancient acoustic instruments, which go straight to the heart without reverb and an array of compressors. In his original compositions, Levy compromises between unplanned improvisation and pre-planned composition. He has an array of techniques at his disposal, including alternating between rapid plectrum and finger plucked tones, playing pure finger-plucked intervals with the left hand to accompany a plectrum-plucked melody in the right hand, using tremolo in the actual melody line, the use of accidentals, portamento and microtones by using the left hand thumb nail as a moveable fret on the string and the use of parallel motion – using finger-plucked and plectrum-plucked tones generally an interval of a third apart in sections of a melody. The technique of hitting the strings percussively with a wooden baton like a hammered dulcimer is something he picked up from bas-relief carvings of lyre players from Babylonia and Cyprus. All these techniques mean that he can achieve an amazing degree of tonal depth, richness and variation, making his lyre sound like two instruments. 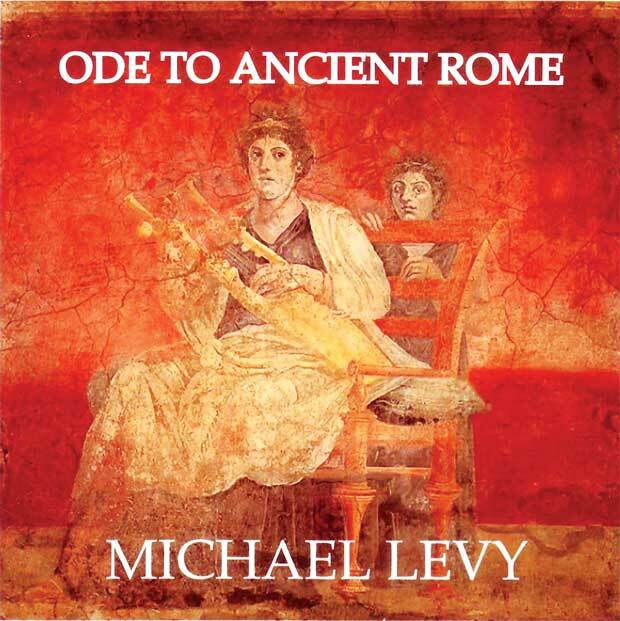 In this touching musical odyssey, Levy has been helped not by gods and goddesses but ordinary mortals connected via YouTube – fans, recording engineers and researchers of ancient music. Archaeologists and amateur enthusiasts discovered much of ancient art and culture from Paleolithic times to the iron age but the music was little known despite the discovery of ancient instruments made of bone and ivory. Today, the music of ancient Mesopotamia, Egypt, Israel, Greece, India and other cultures has been reconstructed in varying degrees thanks to enthusiasts like Levy, who make enormous sacrifices for little or no financial gain, spurred on by the belief that some of the world’s most enchanting music is yet to be discovered.